From authors David Carson and Nina Sammons and artist G. Borri, comes an extraordinary new oracle. 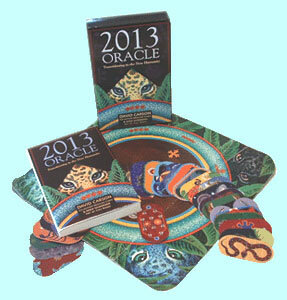 2013 Oracle looks beyond 2012 with a powerful divination system, including a mirror-finished card deck, a colorful printed cenote cloth to contain and focus the oracular energies, and a four-color book to explain and interpret the guidance of the ancients. 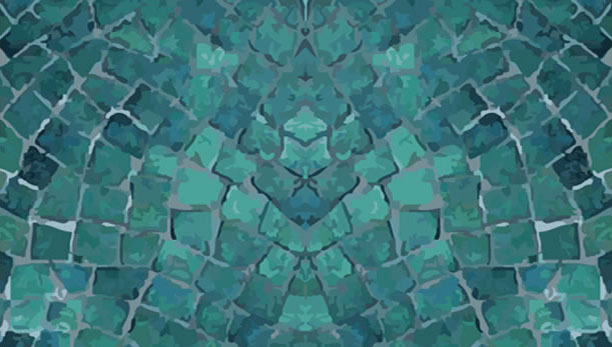 In beautiful artwork by visionary artist G. Borri and with David Carson and Nina Sammons’ prophetic interpretations, users will find answers to guide them through the uncertainties ahead. Long ago, prophets and astronomer-priests and priestesses from mound and temple building cultures foretold great changes proceeding December 2012. The Oracle cards help one to meet the challenges shaped by our unique times and by our unique place in the universe. The cards are ancient mirrors showing many new faces of our modern reality. Like David Carson's Medicine Cards, 2013 Oracle is based on the spiritual wisdom of the Native American ancestors. David Carson introduced us to our power animals through that popular deck: we can now go deeper into the Native American mysteries with the 2013 Oracle. The beautiful book, deck and cloth immerse the seeker in the rich lore of the Olmecs, Toltecs, Aztecs, Mayans and mound builders. We access the cosmology around which they built cities of gold, where they practiced highly advanced technologies based on mathematical and scientific knowledge beyond that of the Europe of their day, knowledge we are only now beginning to comprehend. 2013 Oracle marries the sacred information these ancient ones inscribed for us with a divination system that is a mirror of our internal truth. The voice of the oracle speaks across the centuries to lead us through the contradictions of our times. Pulished by Council Oak Books, Tulsa, Oklahoma. 2013 Oracle boxed set may be purchased through The Ark Bookstore, 133 Romero Street, Santa Fe, New Mexico 87501. Contact them at 505.988.3709, or purchase online at http://arkbooks.com/Books/.